Waiting on Wednesday is a weekly feature of the Breaking the Spine blog. It's a great way to share information about forthcoming books with other readers. Today I'm featuring the new novel from Kate Riordan, author of Birdcage Walk, and other novels. From goodreads.com: In this haunting and richly imagined dual-narrative tale that echoes the eerie mystery of Rebecca and The Little Stranger, two women of very different eras are united by the secrets hidden within the walls of an English manor house. In 1933, naive twenty-two year-old Alice—pregnant and unmarried—is in disgrace. Her mother banishes her from London to secluded Fiercombe Manor in rural Gloucestershire, where she can hide under the watchful eye of her mother’s old friend, the housekeeper Mrs. Jelphs. The manor’s owners, the Stantons, live abroad, and with her cover story of a recently-deceased husband Alice can have her baby there before giving it up for adoption and returning home. But as Alice endures the long, hot summer at Fiercombe awaiting the baby’s birth, she senses that something is amiss with the house and its absentee owners. Thirty years earlier, pregnant Lady Elizabeth Stanton desperately hopes for the heir her husband desires. 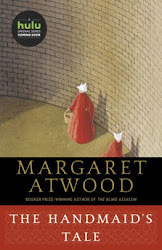 Tormented by the memory of what happened after the birth of her first child, a daughter, she grows increasingly terrified that history will repeat itself, with devastating consequences. After meeting Tom, the young scion of the Stanton family, Alice becomes determined to uncover the clan’s tragic past and exorcise the ghosts of this idyllic, isolated house. But nothing can prepare Alice for what she uncovers. Soon it is her turn to fear: can she escape the tragic fate of the other women who have lived in the Fiercombe valley . . . 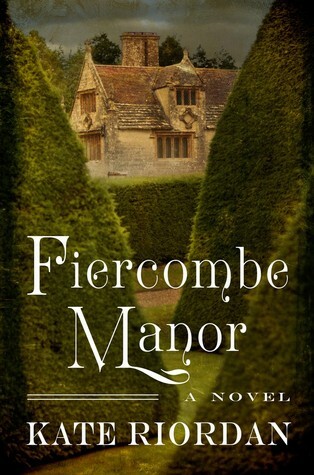 Waiting on Wednesday: Fiercombe Manor was originally published by Catherine for bookclublibrarian.com. This post cannot be republished without attribution.